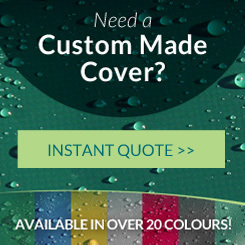 Kover-it specialises in manufacturing the very best bespoke covers for almost anything, and over the years we have made some pretty unusual covers. In this article I have put together Kover-it’s top 10 most unusual and interesting covers for you to look through counting down from the least to the most unusual. 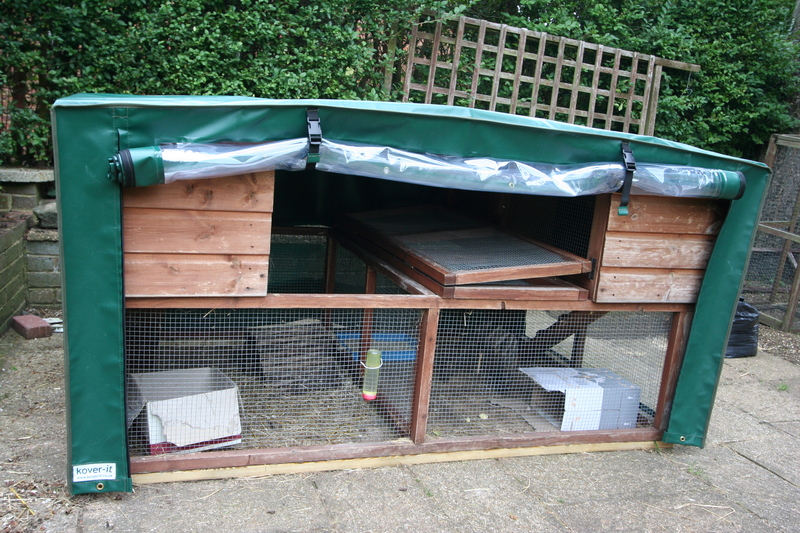 Starting at number 10 is the breathable rabbit hutch cover, not so unusual but very cute the cover easily drops on over the rabbit hutch and has eyelets around the bottom for the shock cord to secure the cover. 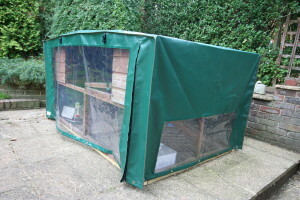 The couple that bought this cover had a lovely rabbit they loved dearly and bought the cover to protect the hutch and rabbit from the rain, cold, wind, and the prevent the hutch from corroding or getting damaged. 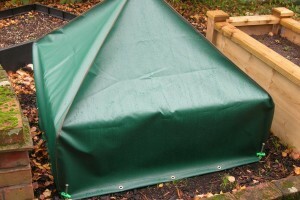 At the back of the cover is a large mesh panel, this allows the cover to be breathable but also waterproof. 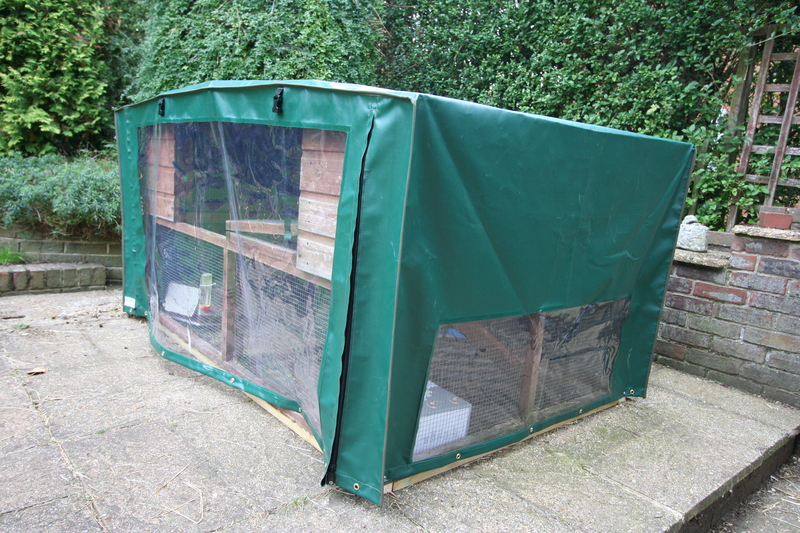 By having the window put in the hutch could be fully protected but you could also look into the hutch, this meant the rabbit was protected from the cold. The window could also be rolled up and secured so the hutch was fully useable. 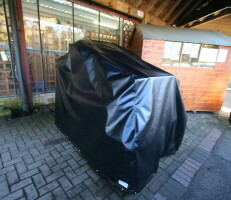 The cover never really had to be taken off and made the hutch’s lifespan much longer. 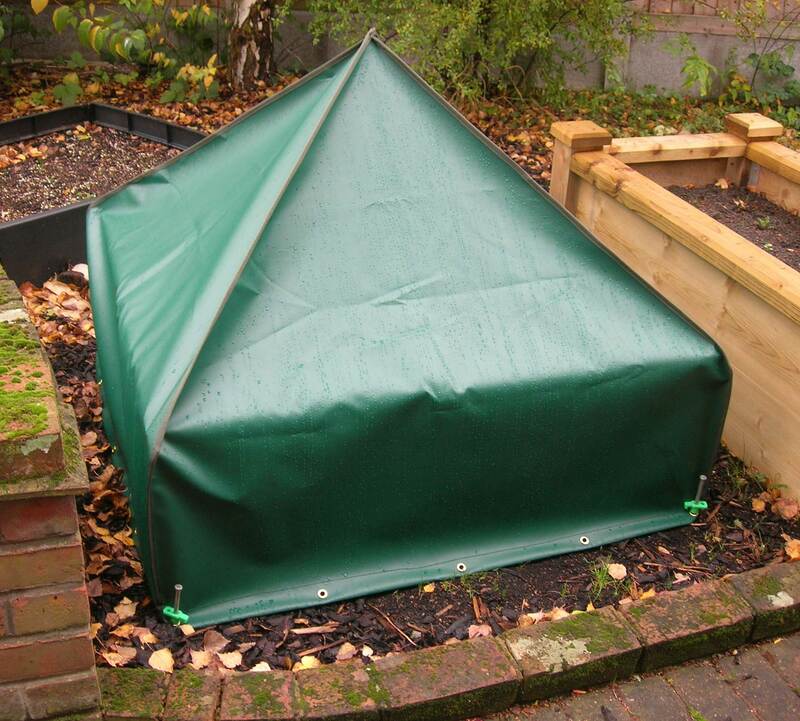 A Victorian Cloche is a small solid cover used for protecting plants from frost, and the Victorian Cloche we made a bespoke cover for was to protect the customer’s vintage cloche from damage. 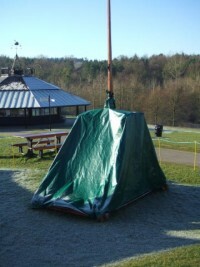 Made out of Green PVC the cover was waterproof and protected the cloche from the suns damaging UV rays as well as scratches, mud and mould. Perhaps our favourite request to make a cover for, I have added this to the top 10 as it is one of the few original Rolls Royce Phantoms left in the world. 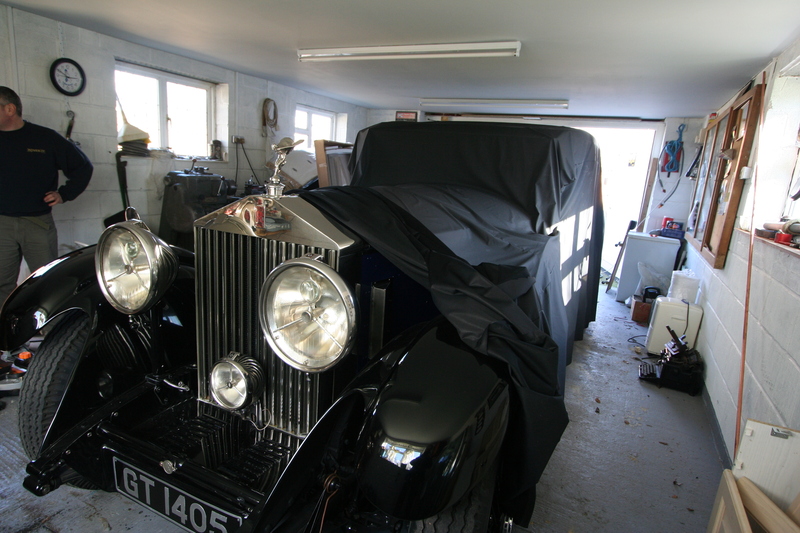 We were happy to provide the customer with a dust sheet cover to protect their car from dust, scuffs and scratches whilst stored in their garage. It was manufactured by us to their measurements and made from polyester as it is softer and lighter so is easy to put on and off without damaging the car. 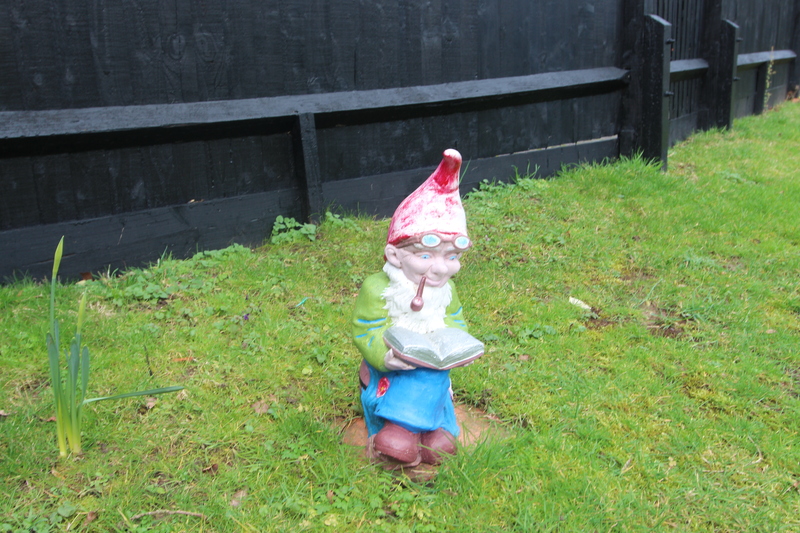 Kover-it manufactured a few covers especially to protect some garden gnomes which were quite special to the customer. Having a kover-it cover over them meant they could still be outside but also safely covered in troublesome weather conditions. 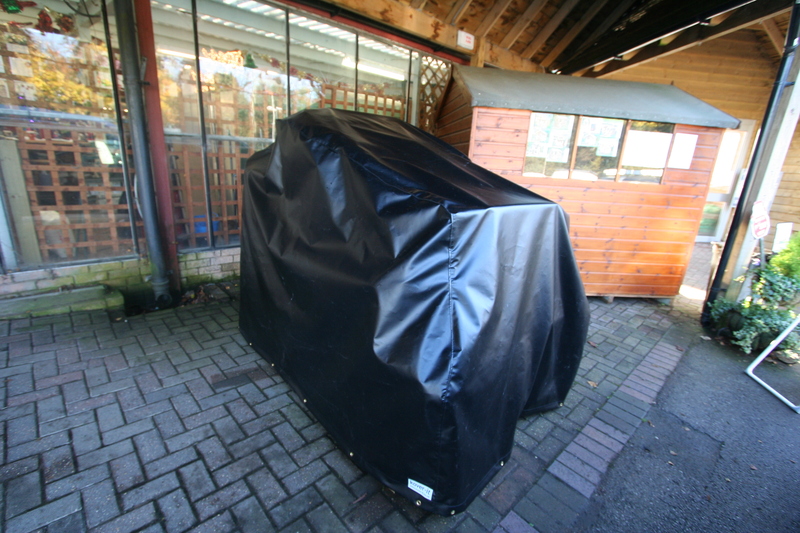 The black PVC cover was easy to drop on and take off, useful for when the customer is going away for a while and wants to keep them safe from snow, frost, heavy rain, the Suns UV rays, and also deters people from taking them. Because the gnomes had been hand painted it meant they needed to be protected from the suns UV rays to prevent fading, the strong bespoke covers also protected them from knocks, scratches and stopped them from cracking from frost. 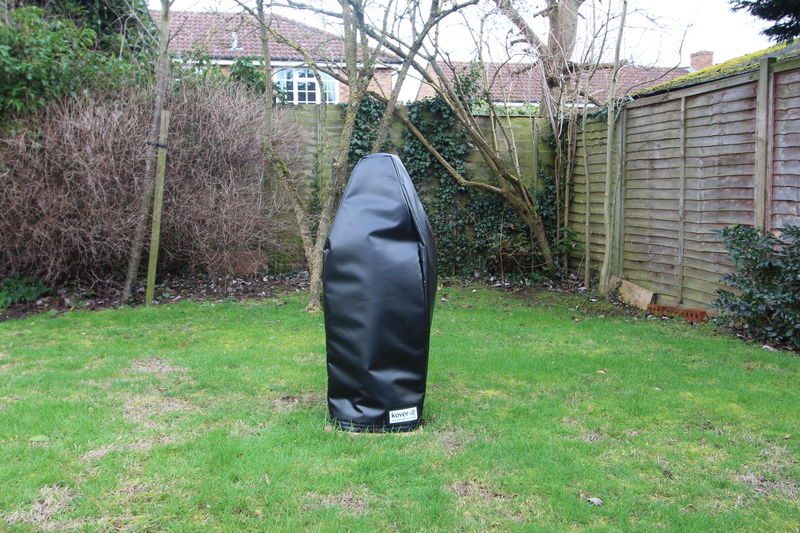 This cover was manufactured for a client who had a dog agility course in their garden and wanted to protect the apparatus from getting damp, corroded and from people walking on or damaging it whilst not in use. 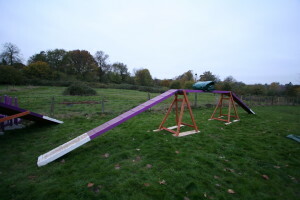 To help prevent corrosion and to lengthen the lifespan of the equipment we used PVC covers which were waterproof, strong, UV resistant, and heat-resistant. Although these covers do not stop the dampness fully they do try to prevent it, and by keeping the agility course covered whilst not in use means it is protected from the snow and sometimes unpredictable weather conditions. 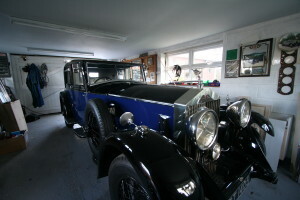 This cover was very unusual also in shape; because of this we visited them to get the correct measurements. 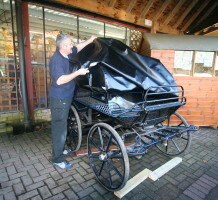 As you can see the two zips either end means a flap can be rolled up so the customer could access the equipment under the main walk along piece and the whole cover could be neatly rolled up and folded up into the middle. 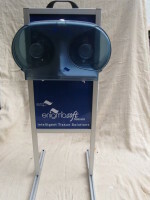 Arguably the strangest cover yet is the toilet roll holder cover which was made for a client that sold these holders and wanted a cover to protect one for show purposes where he needed to carry it round to sell to his clients. To make the cover the customer sent us the images of the toilet roll holders and the measurements. The cover was easy to slip on and off with a slit on each end for the legs and the handle. 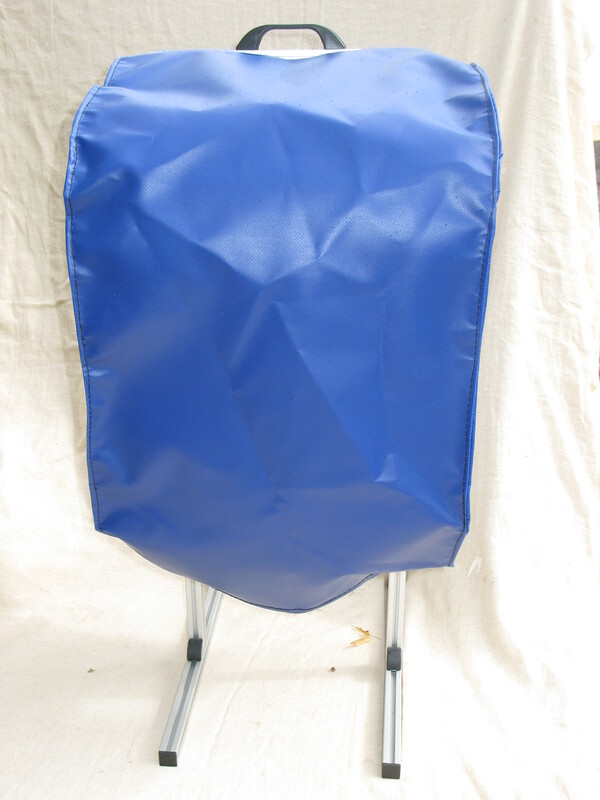 The blue PVC was a nice colour for the cover as it went with the company’s colour scheme and the material is easy to clean and very strong. 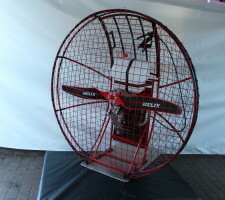 One of our most unusual requests and most recent was covering 2 Wind fans, the client Evolution VFX who specializes in creating special effects in the film and commercial industry asked Kover-it to make covers that would protect their fans from the rain and extreme cold where they would be taking them to Switzerland. 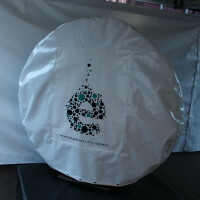 We made the covers out of White gloss PVC and had the company’s logo printed on the front. 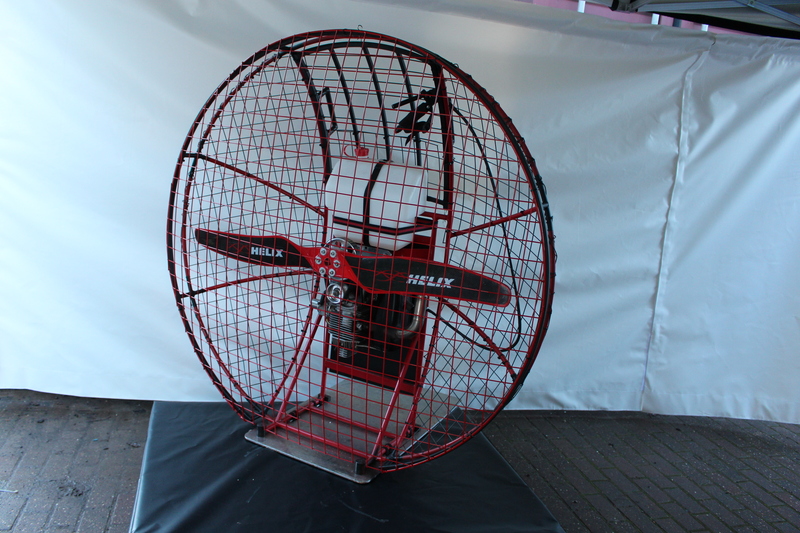 It was so important to us that the covers looked cosmetically pleasing and fitted the fans well that we had the fans sent over to our workshop so we could have our team manufacture the covers precise to the measurements. The covers were very easy to put on and remove; it had a zip around the side and eyelets at the bottom for a shock cord to seal the bottom closed. 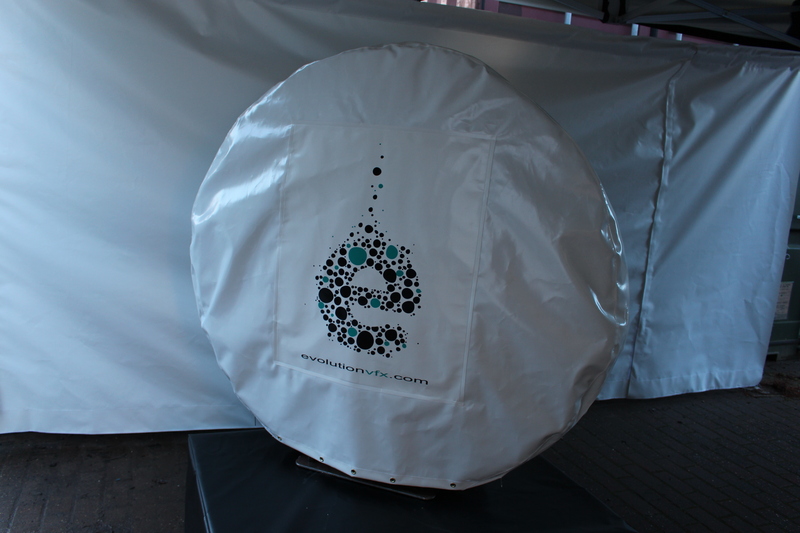 As well as protection being a priority it was also important that the covers are very cosmetically pleasing as to reflect well on their company as they would be left on display on their set. White gloss was chosen as the logo stands out much more and as you can see the covers look very neat, tidy and aesthetically pleasing. 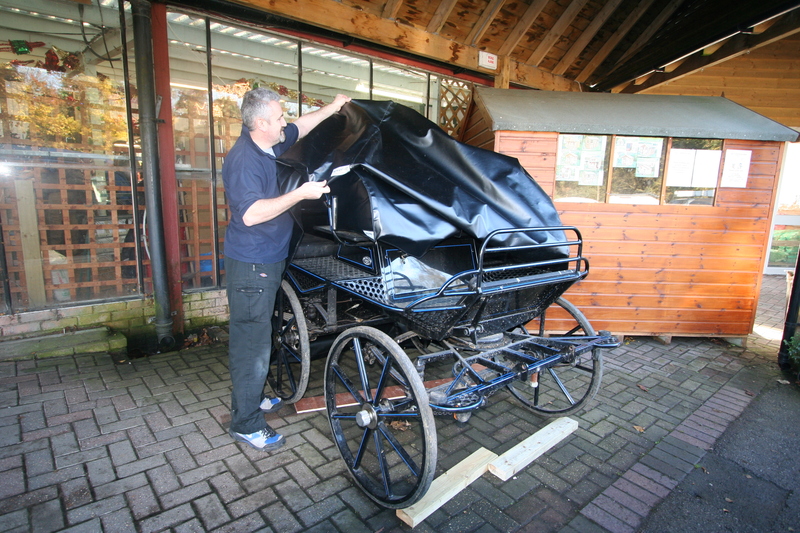 The Victorian style Carriage Cover was also a very unusual and interesting cover we manufactured. 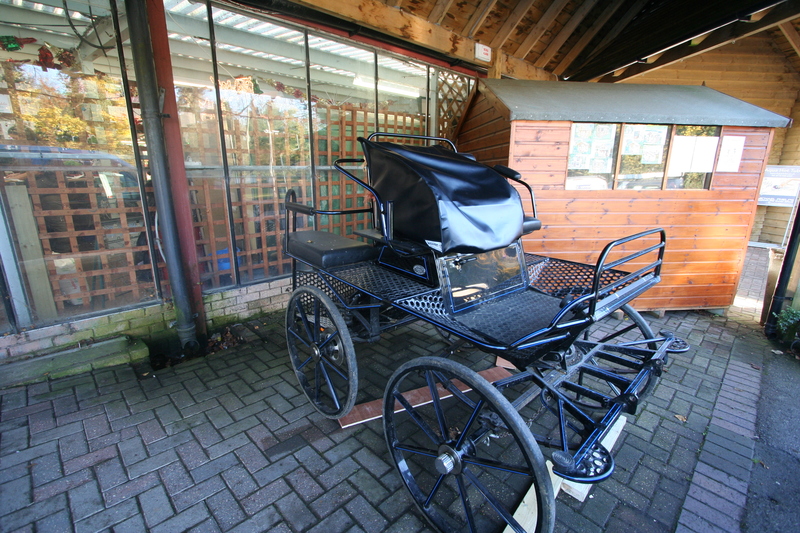 As the carriage was made out of steel it was important to the client it was protected from rusting and being scratched when left outside. They also wanted a smaller cover to protect the driver’s seat when not in use. 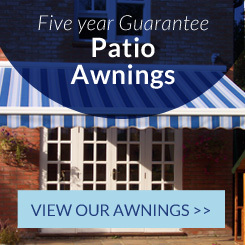 Our PVC covers were perfect for protecting the carriage from water, scratches, and the damaging UV rays; their strength makes them extremely durable and long lasting. 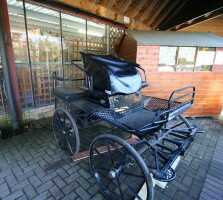 Having the carriage covered also protected the carriage from people noticing it where he wanted it to be stored. The Black PVC covers were easy to put on and off, the smaller seat cover was attached by a shock cord underneath attaching to the seat, and the large cover had eyelets and a shock cord to seal shut. Although covering a full plane would be a bit out of our limits we have manufactured a cover for this small wooden plane which is used on the ground for people to sit in. Based at Waltham Airport the plane is used to collect money for a charity, and the client asked for a cover to protect it whilst it wasn’t in use. 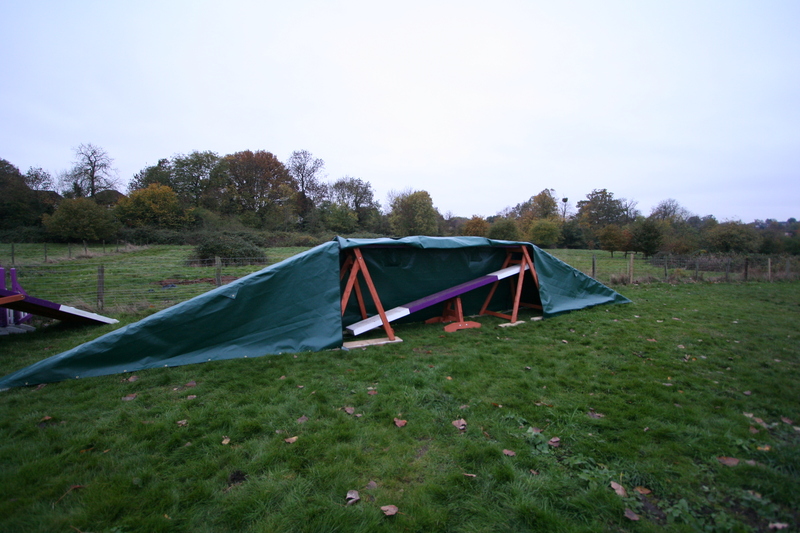 By covering the wooden Plane with one of our PVC covers it makes the life-span of the plane much longer by preventing corrosion and keeping the dust and water away. 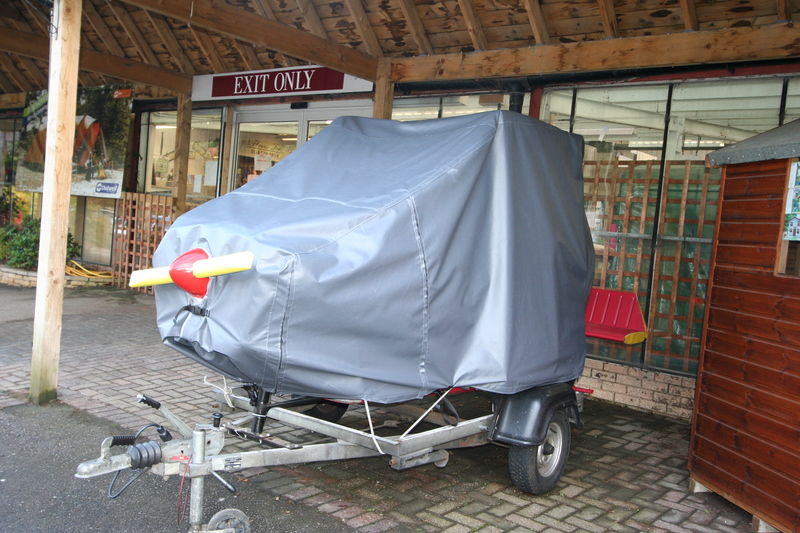 As well as keeping the plane cover on in storage, it also protects the plane whilst it is on the move, the same material is used on lorry side curtains so we know the cover is extremely strong and durable. 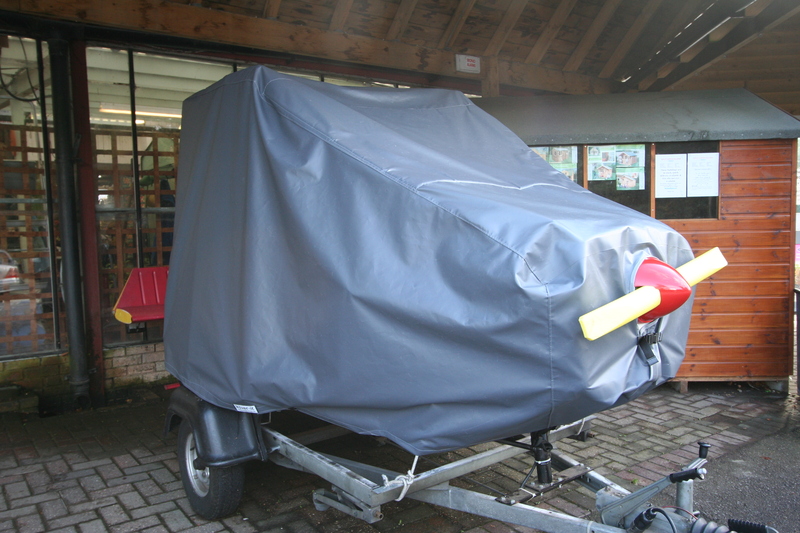 Because of the large size of the plane we made sure the cover was easy to put on and off by adding zips to allow the cover to go over the body, and as it had a propeller we left a hole which had a bungee cord around to pull the material tight around it. 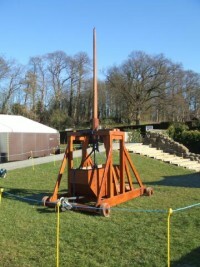 The Medieval Sling Shot cover was definitely our most unusual cover to manufacture. 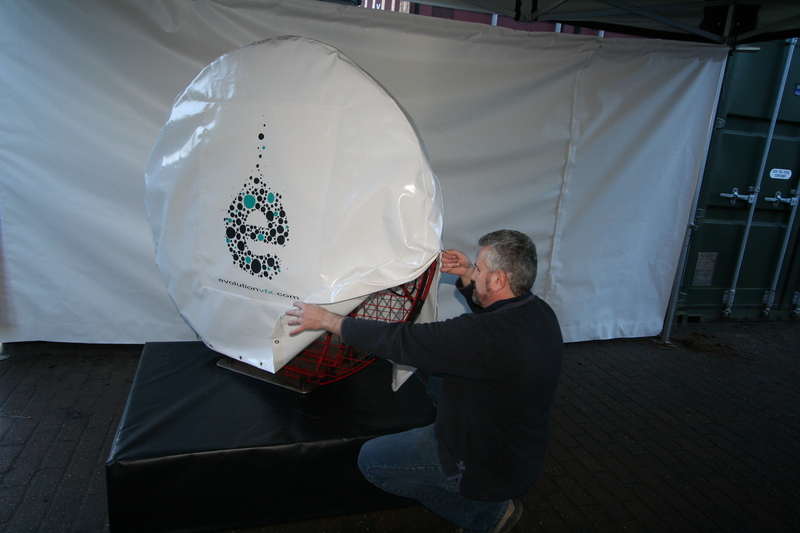 The shape and size made it one of our more tricky covers to manufacture, and since it was not cost effective for them to send us the sling shot to measure and we were unable to visit it we worked off of the measurements they sent us. In situations where we are unable to measure a large object we make sure the correct measurements are taken by asking them to send a picture and we make it clear which sides to measure. 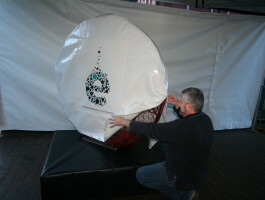 The cover was made out of heavy duty PVC and attached by wrapping around and zipping up at the back. Because of the large arm (mast) we used a skirt , a cord and Velcro which secured the cover shut so it would let no water in. The bottom of the cover had bungees to attach the cover to the sling shot. We designed the cover in this way as it was very important to the client that it would be manageable for one person to put the cover on and off. As you can tell from looking at our covers we can design the cover to fit almost anything and we design the cover to the clients requirements whether it is the ease of putting the cover on or off or its cosmetics. With these more unusual requests often the shape is much more complex than for example a table cover, that is why we have very experienced and skilled machinists who come up with innovative designs to suit the client’s needs.